Our next adventure! It really feels great to say that and to have a new trip to look forward to! I have been craving some adventure and this is sure to fulfill my needs. I've never been to Washington or the Pacific Northwest, so this will be extra special. We will be heading there on New Year's and staying through my 21st birthday! I'm really looking forward to exploring a new city and taking in some cold weather. I'm sure it will be a ton of fun and a great way to start off 2015 :) Plus, Dai and I get to add another state to our list of places we have traveled to together! 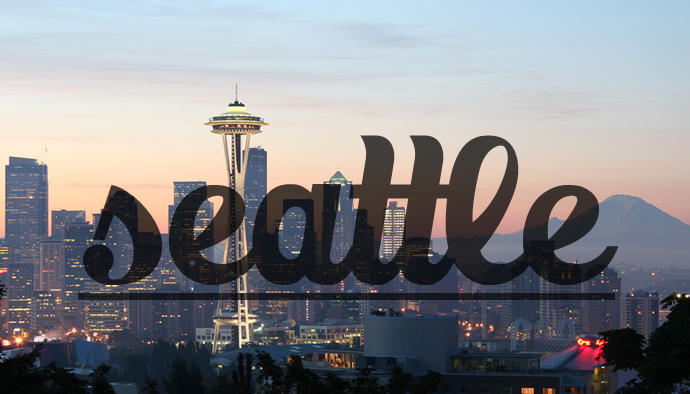 Have you ever been to Seattle? Do you have any tips for us? We would love any advice you have! We are also considering renting a car for our stay, so definitely let us know of some must-see spots in the surrounding areas too! Hope everyone is having an adventure filled weekend! I've never been to Seattle but I do know that Woods Coffee shops are awesome! I love Seattle! Have fun! I don't know if you're into museums, but I went to the EMT museum last time I was there and it was really cool. It's sort of a...pop culture museum? There are exhibits on classic horror films and on the history of rock music and other stuff like that. Wow I am writing alot. Anyways, day trips I would say Whidbey Island. That’s where I was born and my family is from. You can take a ferry there in Mukilteo which is only like 20 miles north of Seattle. The ferry ride is fun and the island is just really beauitful. I would recommend seeing the town of Coupeville really cute shops and getting a Cinnamon Roll at the Knead & Feed (in Coupeville, they do run out though so going earlier in the day is better.) Ebey’s Landing (nice beach near Coupeville.) and the Deception Pass bridge is beautiful if you want to exit the island up North. Okay, also you can email me if you have any questions or want more recommendation. I'm so bummed that we wont be here then... but so happy that you are coming to my neck of the woods. You'll love it here... I know it. Thanks Abby! Woods Coffee, making a note! I know.... Total bummer. I really want to meet Mr. Canon. Definitely can't wait to be up there though! Thanks Leah! I read about the EMT museum, but good to know what you think. I think it is something I would probably enjoy, but Dai probably wouldn't know a lot of the pop culture references, so I'm not sure haha. Yeah! I was thinking about how that's where you live too, especially since I was working with you when we were booking our trip :) Thanks so much! I'm hoping for not too much rain also! So exciting! Have the best time ever!